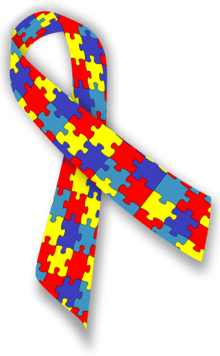 Several months ago, I posted an article entitled, Autism as Shao Yang Disorder: A Chinese Medicine Perspective, in which I laid out a novel clinical approach to treating autism spectrum disorder (ASD) as a Shào Yáng (少阳) pattern. That post inspired a fair bit of correspondence from other practitioners, so I thought it would be appropriate to follow-up with another classical disease (病) that might also be relevant to the treatment of ASD. Before I begin, I’d like to clarify—as I always do with potentially “triggering” subjects—that I am NOT suggesting that Chinese medicine cures autism. I have witnessed both the lure of the “autism cure” that leads parents of autistic children/adults into a false sense of hope, and the subsequent disappointment when these therapies fail to meet expectations. In this article, I am offering a clinical theory rooted in the classics, and one that I hope will benefit your treatment of ASD. When treating autism with Chinese medicine, the goal should be the reduction of detrimental behaviors, the management of anxiety, and an increase in the quality of life for both the patients and their families. Ideally, Chinese medicine practitioners should try to work in tandem with the MD or specialist who handles the patient’s care from a biomedical perspective. In early winter, I accepted a position teaching the Jīn Guì Yào Lüè (金匮要略)—a classic work on medical formulas from the second century CE—in the doctoral program at the Pacific College of Oriental Medicine. As I was preparing for a recent class, I was reminded of an obscure illness from that text called bǎihé bìng (百合病). Scholars have argued about the translation of bǎihé bìng, which either relates to Lilii Bulbus (the primary herb used to treat the disease), or a description of the syndrome (“Hundred Union Disease”). For the sake of brevity, I will avoid these semantic issues and leave the term untranslated. As I began to contemplate this passage, my mind couldn’t help but zone in on the phrase, “they are often quiet.” Other (more experienced) translators have rendered this symptom as “frequent taciturnity” (Wiseman and Wilms, p. 69). The other statement that struck me was: “They look like they are possessed by spirits or mischievous sprites, but the physical form seems harmonious.” Having worked with individuals on both ends of the autism spectrum, I began to wonder if some forms of autism might be a type of bǎihé bìng. Interestingly, “bitter taste in the mouth” is a hallmark symptom of the Shào Yáng (少阳) stage disorders I described in the previous article on ASD, and “taciturnity” may manifest in certain Shào Yáng (少阳) stage disorders as well (Mitchell, Ye, & Wiseman, p. 410). The treatment for bǎihé bìng is quite simple, and involves a decoction of only two herbs: the aforementioned bǎihé (Lilii Bulbus) and shēng dìhuáng (Rehmanniae Radix). Unfortunately, the original formula calls for the juice of shēng dìhuáng to be used, which is all but impossible to obtain. As such, my advice on dosages would be to follow the dosage ratio used in the research study below, or begin with the 2:1 ratio of shēng dìhuáng (生地黄) and bǎihé (百合) used in Bai He Gu Jin Tang and modify the dosages accordingly—up to 24g of bǎihé may be used (Bensky & Barolett, p. 161). Since the formula only involves two herbs, finding the proper dosage is crucial and may take several attempts, so it would be wise to inform the patient (or their family) ahead of time. As I was preparing my lecture on bǎihé bìng for the students, I came across two additional pieces of information that support my theory. The first is from a book entitled, Understanding the Jin Gui Yao Lue, which states that: “this formula can be used in the treatment of a variety of neurological and mental disorders” (Sung, p. 74). The second was a recent study entitled, “Involvement of the Cerebral Monoamine Neurotransmitters System in Antidepressant-Like Effects of a Chinese Herbal Decoction, Baihe Dihuang Tang, in Mice Model” that was published in the journal Evidence-based Complementary and Alternative Medicine (Chen, et. al., 2012). This study concluded that “[Bai He Di Huang Tang] possess antidepressant-like effects…mediated, at least partially, via the central monoaminergic neurotransmitter system” (Chen, et. al., 2012). Since anti-depressant medications are often used in the treatment of ASD, this finding is significant. In fact, Temple Grandin, a professor at Colorado State University on the high functioning end of the autism spectrum, notes that: “My anxiety and panic attacks were 90% eliminated with a low dose of antidepressants” (TempleGrandin.com). Taken as a whole, this modern research, and the description of bǎihé bìng from the Jīn Guì Yào Lüè, suggest that some forms of ASD may respond to treatment with Bai He Di Huang Tang—particularly in those patients who present with a faint and rapid pulse. Chen, et. al. (2012) “Involvement of the Cerebral Monoamine Neurotransmitters System in Antidepressant-Like Effects of a Chinese Herbal Decoction, Baihe Dihuang Tang, in Mice Model” Evidence-based Complementary and Alternative Medicine. Craig Mitchell, Feng Ye, and Nigel Wiseman, (1999). Shang Han Lun. Sung Yuk-ming, (2010). Understanding the Jin Gui Yao Lue. Nigel Wiseman and Sabine Wilms, (2000). Jin Gui Yao Lue. © Dr. Phil Garrison and Ancient Chinese Medical Theory, 2015. Unauthorized use and/or duplication of this material without express and written permission from this blog’s author and/or owner is strictly prohibited. Excerpts and links may be used, provided that full and clear credit is given to Dr. Phil Garrison and Ancient Chinese Medical Theory with appropriate and specific direction to the original content. thank you for the wonderful article I had read another article for autism treating the spleen kidney and heart and clearing the phlegm misting the mind formula’s to clear the mind for speech therapy. It makes such sense I plan on sharing this with a friend of mines son who has not spoken at all and he is nine years old and I hope to get him into a local acupuncturist in Silver City New Mexico. I contribute this to the injection’s he got as an infant in the hospital crossing the blood brain barrier which puts pressure on the brain and developmental problems. Any rate I will keep you posted on his progress I will be seeing him on Nov 16th 2015 hope to have some positive input to help him get his speech back. God Bless and thank God for Chinese Herbs and Acupuncture. Dr. Limerick, OMD PCOM graduate.